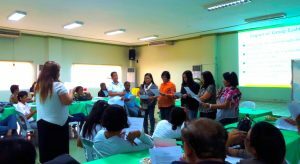 Farmers belonging to Agrarian Reform Beneficiaries Organizations (ARBOs) in Batangas were recently trained on microfinance to improve their organizations’ social and financial performance. 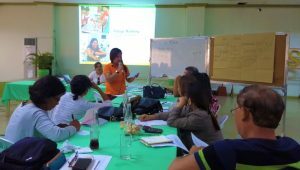 The training entitled Fundamentals and Methodologies of Microfinance and Character and Capacity-Based Lending, was conducted by the Department of Agrarian Reform (DAR) in partnership with the Social Enterprise Development Partnerships Incorporated (SEDPI). She said the knowledge that the ARBOs acquired from the training should translate into a more effective and efficient microfinance services to its members, increased outreach of members served, and better incomes for the ARBOs and the member-borrowers. “As a follow-through or post-training activity, the ARBOs will be assisted by the DARPO in improving their existing processes, systems and procedures utilizing the methodologies and tools imparted by SEDPI,” Manalo said. During the training, SEDPI provided a compressed version of its Technical and Monitoring Assistance (TAMA), which closely supervised and monitored DAR assisted ARBOs progress towards financial and organizational sustainability.news regional 1 pix 2 july 28 2016. The ARBOs who participated in the training were the SAPAGLAYA MPC, Mountainside MPC, Dayapan MPC, Mayuro MPC, PIFADECO, KAMAHARI ABMPC, Lucban MPC, Magahis MPC, Haybanga MPC and Prenza MPC. Photo 1: Development facilitators and representatives from different ARBOs during the training on microfinance with Chief Operations Officer Emilenn Kate Sacdalan (lady in white/standing). Photo 2: Farmer-participants listening attentively to the discussion.